A new late-nigcocktail bar and ramen spot has made its debut in the neighborhood. Called Shinya Ramen House, the fresh arrival is located at 3240 S. Halsted St. in Bridgeport. On the menu, diners will find a variety of tonkotsu and shoyu ramen options, served with chashu pork, slices of fish cake, green onions and a softboiled egg. The restaurant's signature green tea noodles are slightly thicker than standard ramen size. Small bites include chicken karaage, grilled chicken wings and grilled scallops served in the shell. At the bar, look for libations like a passion fruit mojito and a variety of Japanese and domestic beers. With a 3.5-star rating out of nine reviews on Yelp so far, the new noodle joint is still finding its feet, though it's early days yet. "The broth was one-note," criticized Yelper W. C. But on the pro side: "They're open late and the egg was good." "The service is prompt. 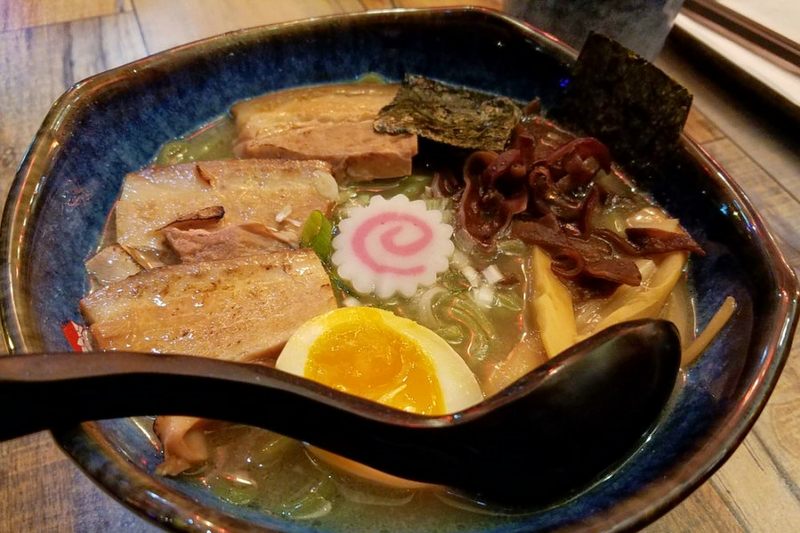 Green tea noodles were advertised as thick, but they actually weren't really thick," said Yelper Bill T., but added that the "taste of the noodles and broth in the shio ramen were good. Soft boiled egg was good." Intrigued? Stop in to try it for yourself. Shinya Ramen House is open from 5 p.m.-2 a.m. Sunday-Friday and 5 p.m.-3 a.m. on Saturday.